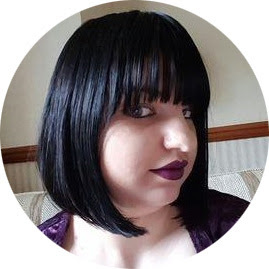 Today I am bringing you a new feature: "Ask A British Nail Blogger" in which bloggers from The British Nail Bloggers group (feel free to join if you are a British Nail Blogger!) will attempt to answer some FAQ style questions on nails and blogging. So lets go through them shall we? 1. Nail Scissors and Nail File, As you probably know by now my nails have to be kept short, I normally don't have to cut my nails unless they grow too long. As far as nail files go I have a few, I have this metal one that I use if they need a quick shape or there are any ragged edges. I also have a glass nail file and a soft buffer that I use too when required. 2.Tisserand Rejuvenating Nail and Hand Cream, I love the scent of this hand cream (Wild Rose and Lemon Leaf) it is pretty strong and scents the whole house when I use it. I find this is quite a light hand cream so I can use it throughout the day without my hands getting sticky or oily. I got my tube reduced in Boots but I am sure you can get it in other places if you look around for it. 3. L'Occitane Shea Butter Hand Cream, this stuff is amazing and I have two 150ml tubes which is enough to keep me going for years! I got my tubes on the Ferry in duty-free but even for the RRP of £19 this stuff is a steal. You only need a tiny amount at once and it leaves my hands feeling really soft and supple. I find this hand cream more oily so I use it at night or when my hands are in really bad shape, this stuff is a lifesaver come winter time! 4. Duri Rejuvacote, If there is only one product off this list you buy make it this one. I used to use OPI Nail Envy but this stuff is just amazing my nails grow so much faster and they feel much stronger. I apply this under my polish and on weekend's I have polish free days and just wear this stuff. This is an American brand but you can find it on Ebay! 5. Bourjois Magic Nail Polish Remover, This remover smells really lovely and fruity and it's not drying or bad for your nails like other removers either as it contains almond oil. It might take a bit longer than a second to remove the polish but it is still a breeze compared to the cotton wool method. My old pot lasted me just over six months before I got a new one so is fantastic for those on a budget! 6. LUSH Leomony Flutter, I use this in the evenings as I find it can be a bit oily and a small amount of this goes a long way. I love the smell of this it is so yummy! 7. CND Solar Oil, I only have a mini of this which I got as a freebie on Black Friday but I love this oil, this product is great for my cuticles and smells like bakewell tart. I apply this whenever I remember as this oil is light enough to wear throughout the day. I need to pick up a larger bottle of this. I hope you enjoy this type of post as I really liked writing it! Do you have any products that you love for nail and hand care? I am always wanting to try out new things? Don't forget to check out the rest of the British Nail Bloggers answers to this question by using the links below! AHHHHH!!! I hate metal files. I think they just rough up the nails too much and create peels. Lol...thanks for sharing your routine! I love that Bourjois remover, as you say doesn't dry out your nails, cuticles or surrounding skin. Plus it smells nice. The duri is amazing :) Nice post.